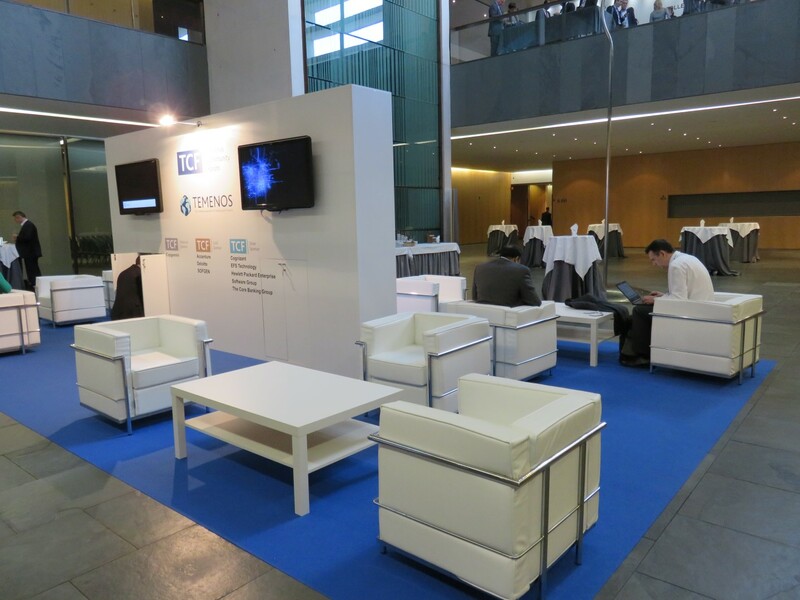 UK-based start-up Kerv and its payments ring won the Innovation Jam at the Temenos Community Forum (TCF) 2016, held at the Palau De Congressos, in Barcelona from 17-19 May. About 1,200 delegates were at the event and part 1 of our review looked at Temenos’ ambitions in the US. The event enables customers, potential customers, partners, analysts and the media to see the firm’s products and plans for the future. Innovation Jam is Temenos’ way of bringing start-ups and innovation from around the world together (similar to Swift’s Innotribe). The regional finalists assembled in Barcelona and each had seven minutes to make their case and race for the prize. Some presentations were good but others crashed badly. They were brought down to earth by technical problems. That was a shame as all the firms had good ideas. However, that’s all academic as the morning of the final day (19 May) belonged to Kerv. It was a case of one ring to rule them all. Phil Campbell, Kerv’s founder, gave a solid presentation. The firm offers the “world’s first contactless payment ring”. This wearable technology is engineered from aerospace-grade zirconia technical ceramic, and available in either black or white. 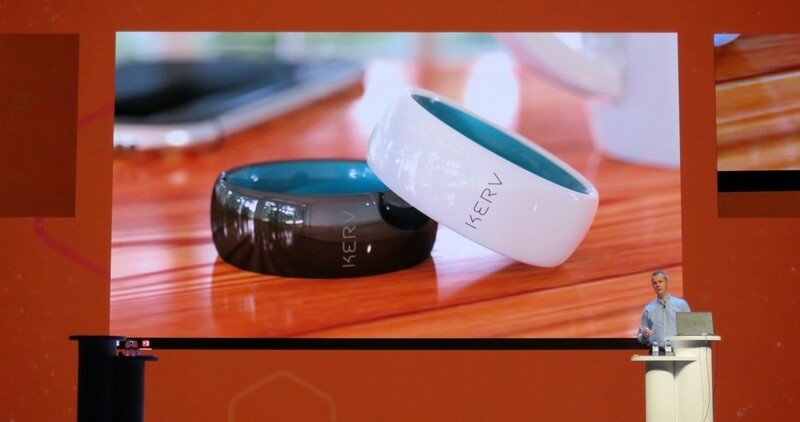 Kerv works “all by itself, so you don’t need to pair it with a smartphone to make a payment”. There is also no charging. It comes in different sizes and is waterproof. It was a clear winner from the audience vote. Elsewhere, the forum was a mixture of product demos and panel discussions. The first day (17 day) was devoted to registration and a networking party. But on 18 May there was a chance for journalists to actually attend breakout sessions. In a discussion on the future of banking, one comment was that people still hunger for “human contact”. But nobody on the panel mentioned that in some parts of the world, such as the UK, there have been a large number of job cuts in the banking industry as branches close. David Brear, co-founder and CEO at fintech consultancy firm 11FS, says banks are “not meeting the needs of their customers”. That comment was not fully explored in the limited time available. But he has a point, as the rise of fintech start-ups is well documented and some of these new firms do have genuinely innovative and useful concepts to compete with the banks. There is also the question of UK challenger banks to consider. The big banks know they have a fight on their hands. Ben Robinson, CMO for Temenos, says “technology is making us better – we are augmented humans”. Again, no one questioned that on the panel. He may be right, but perhaps the jury is out. Away from the fintech industry, technology has seen the rise of cyberbullying, memory problems (who remembers lots of phone numbers now? ), cybercrime, and so on. The event was well attended and the venue was able to cope with the numbers admirably. There was never a feeling of being overly cramped. The discussions were generally good (when I had a chance to see them), but the nature of the event naturally means it is very much devoted to Temenos selling its products. A lot more happened at the show than these two news reports, but for the sake of brevity was left out. Next year’s TCF will retain an Iberian theme and be in Lisbon. It will be interesting to see how the company’s US strategy fares. AML and KYC for all mobile needs. FCA found the firm made 220.2m errors. The project seeks technology use and standardisation for the wider distribution of trade finance assets.